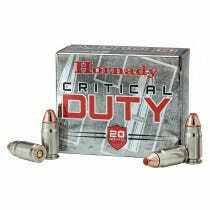 LOOKING FOR 9MM HANDGUN AMMO? Developed by George Luger in 1902, the 9mm cartridge began as a German military round designed for a single firearm. Today, more than 60% of police forces in the United States use 9mm ammo. 9mm ammo is one of the most popular calibers, and cheap 9mm ammo means more fun at the shooting range. 9mm ammo is a moderately strong round that provides shooters with a high capacity, along with a capable sized bullet. You can use 9mm ammo in both small and large guns. Firearms capable of accepting 9mm ammo includes rifles and handguns. 9mm ammo is preferred by many enthusiasts, including law enforcement, concealed carry, military, plinkers, and competitors. 9mm ammo rounds offer a light recoil, and their low cost means you can shoot and train as often as needed. Common knowledge says that the 9mm ammo is the world’s most popular round. This includes civilians, along with many police units and militaries throughout the world that put 9mm ammo to use. Today, there are well over a dozen different types of cartridges that measure 9mm in diameter. However, when you refer to 9mm ammo, everyone knows you’re talking about the 9mm Luger, or 9x19mm. This well-known round is available throughout the world, and is perhaps the most popular round ever invented. You can find 9mm ammo in a wide range of different loads, each one created with a specific purpose in mind. These types of loads include subsonic rounds meant for suppressors, cheap 9mm Full Metal Jacket loads, and of course rounds for self-defense ammunition. Additionally, when you’re looking for 9mm ammo, it helps to know that it may be referred to as other names. Most commonly you might hear it called 9mm parabellum, 9x19, and 9mm NATO. It’s no surprise then, that firearms which support 9mm ammo are among the most popular in the United States. There are additional reasons for the popularity of the 9mm as well, including availability, price, and effectiveness for self-defense. Many popular and well-known manufacturers produce 9mm ammo, including Federal, Winchester, Remington, Cor-Bon, Atomic Ammo, and Speer. The most popular 9mm ammo bullets purchased in the United States are Winchesters, which offer the rounds in different loads. From a global perspective, over seventy countries manufacture and distribute 9mm ammo. However, only twenty-seven of those countries are considered significant producers of 9mm ammunition.